Though it’s getting somewhat long in the tooth, the current Chevrolet Trax is a decent subcompact crossover that serves its purpose well. 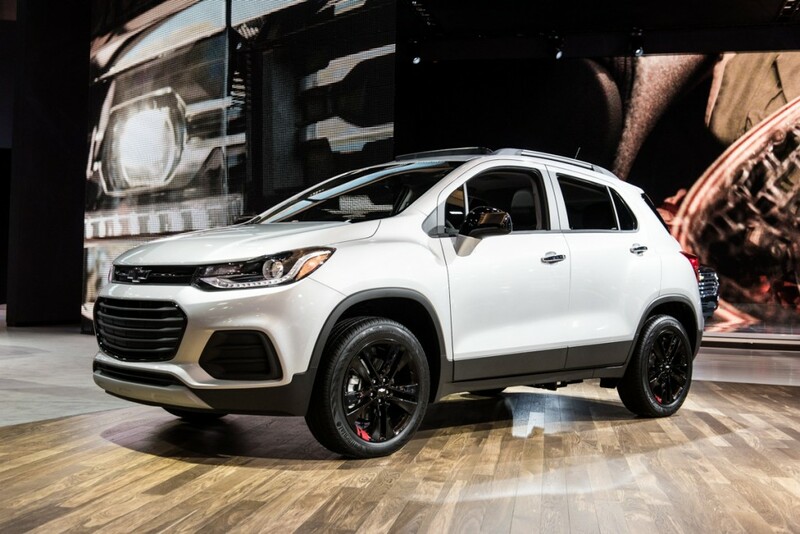 So well, in fact, that it just posted its best-ever first quarter sales performance (see Chevy Trax sales), while consistently ranking in the top three of its segment in terms of sales volume. But the Trax name might not be long for this world. 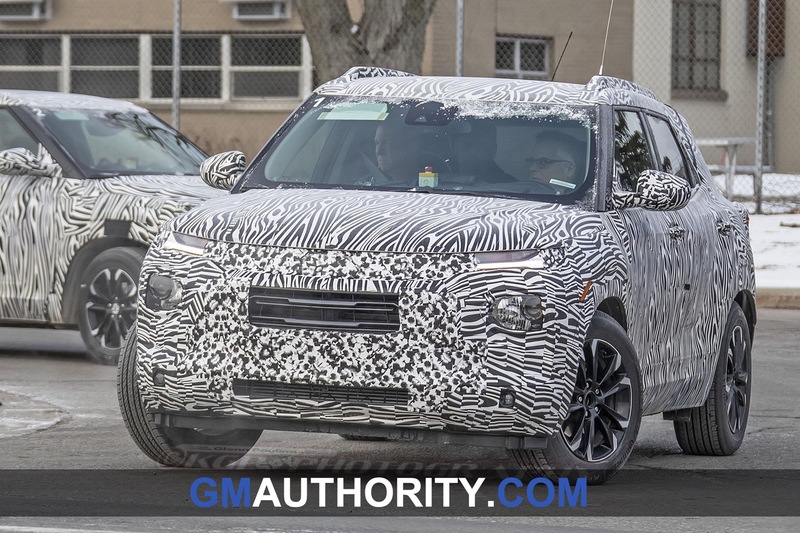 In fact, all signs point to the second-generation Chevy Trax being renamed to Trailblazer, with the Trax naming going away altogether. 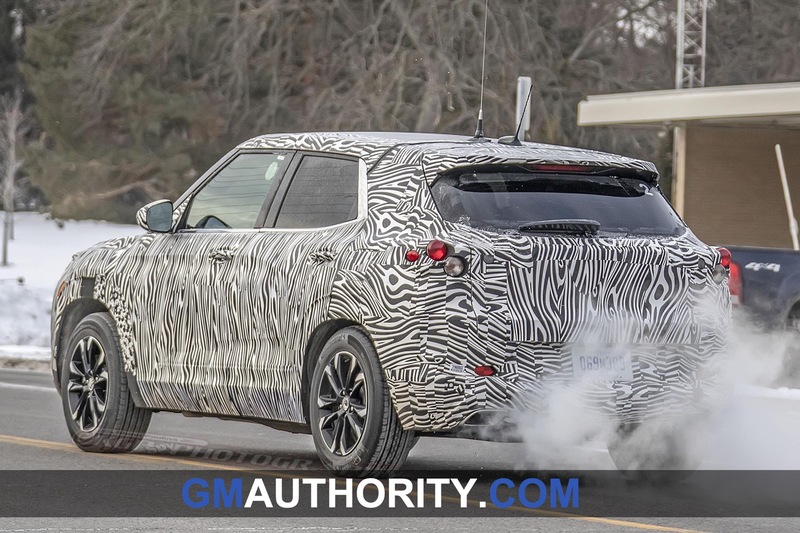 We reported on this notion back in January, but new information has come to light that solidifies the rumor. Follow along for our reasoning. 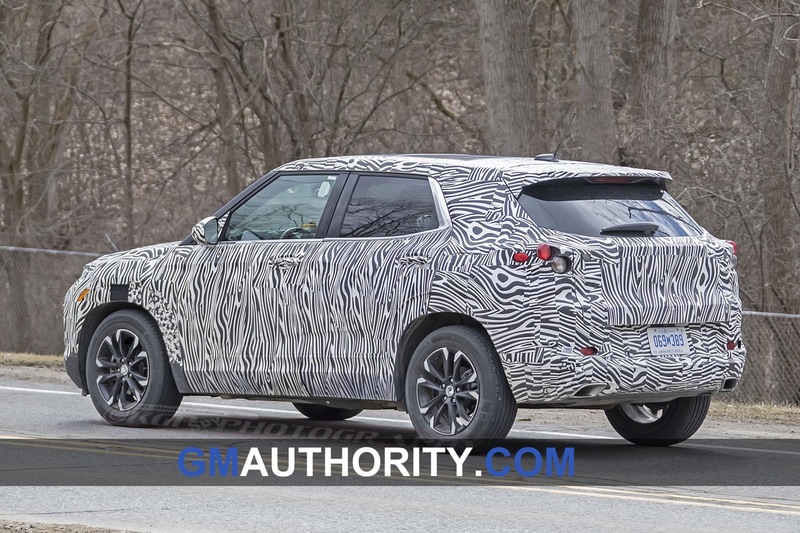 Earlier this month, GM China announced that it will reveal two all-new SUVs at the 2019 Shanghai Auto Show on April 16th, while providing a teaser image of both vehicles. 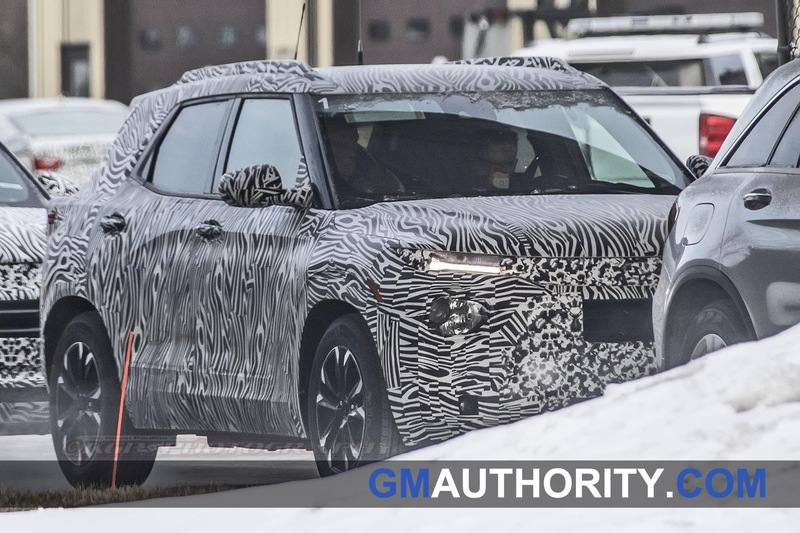 The first will be the new Tracker, which will be based on the GM Global Emerging Markets architecture (aka the GM GEM Platform) intended for emerging markets such as Southeast Asia, China, and South America. 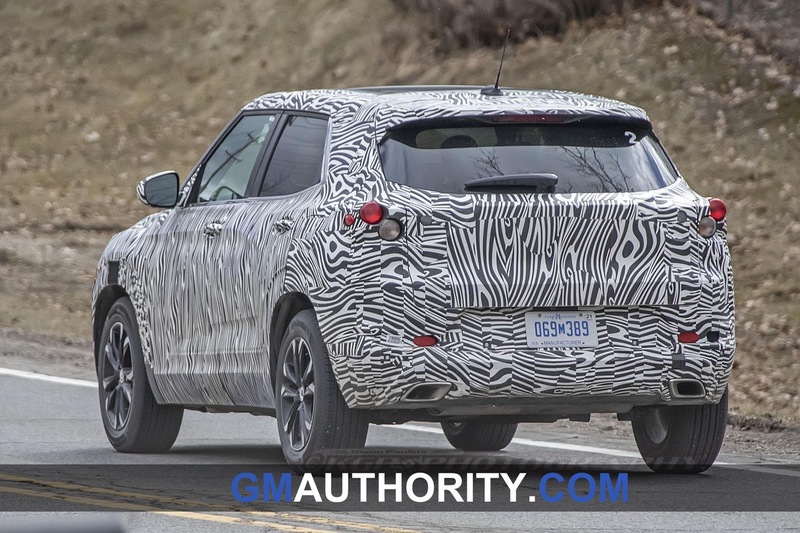 This model will not be marketed in North America. 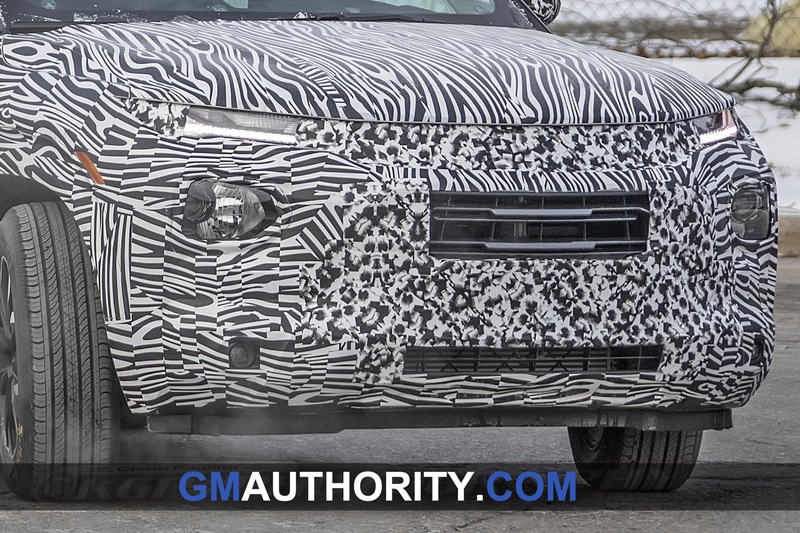 The second model that GM China will unveil on April 16th is the new Trailblazer. We have seen this model in spy shots over the past year or so. 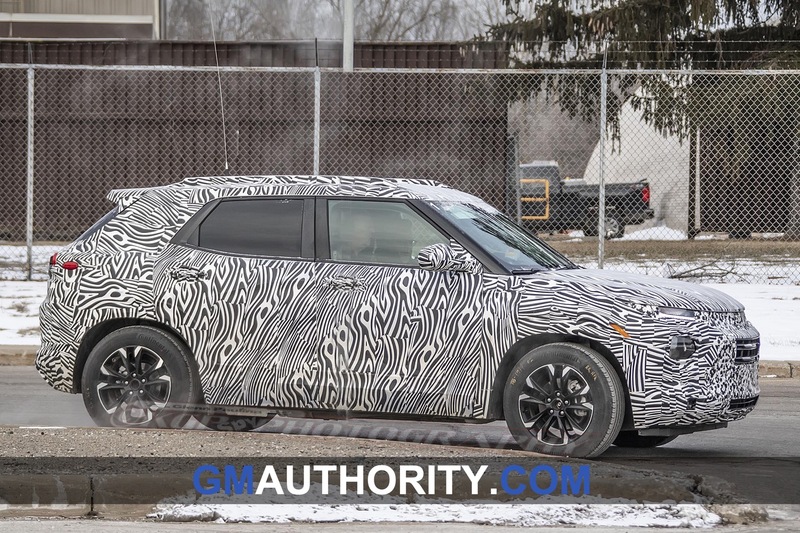 The vehicle appears to look like a shrunken-down 2019 Chevrolet Blazer of sorts, which made us call it the “mini Blazer“, which makes sense given that Chevrolet previously said that the Blazer will inspire the design of future Chevy crossovers going forward. 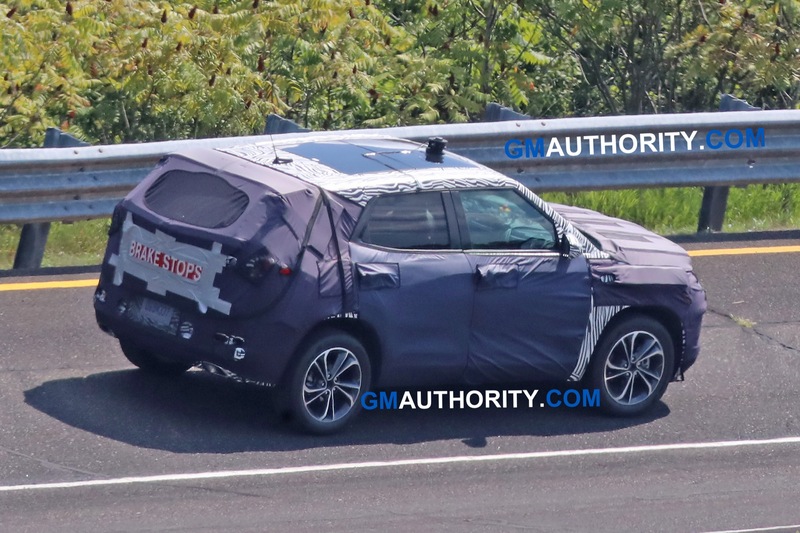 We have been referring to this model as the second-generation Chevrolet Trax, but the aforementioned announcement by GM China pretty much confirms that it will be called Trailblazer instead. 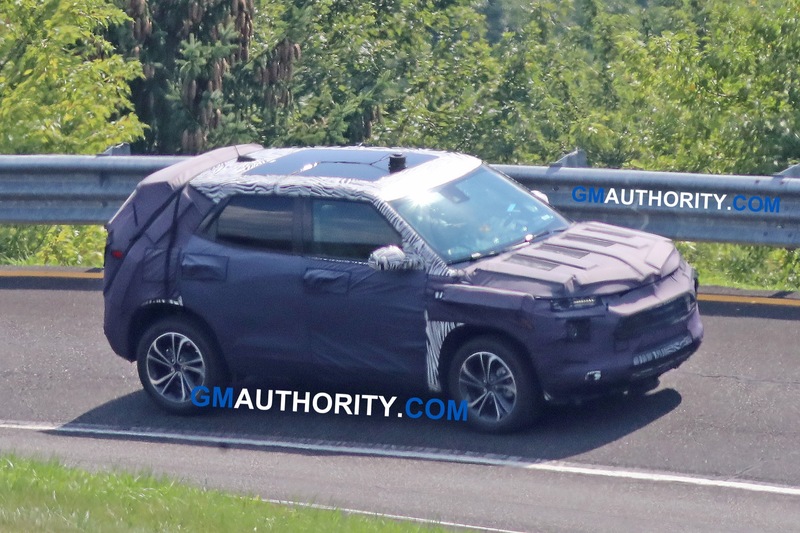 In that regard, it would seem that Chevrolet is planning on discontinuing the Chevrolet Trax as a nameplate, and replacing it with the Trailblazer name, at least in China. The only question now is whether the same will take place in the United States… and all signs point to that being the case. 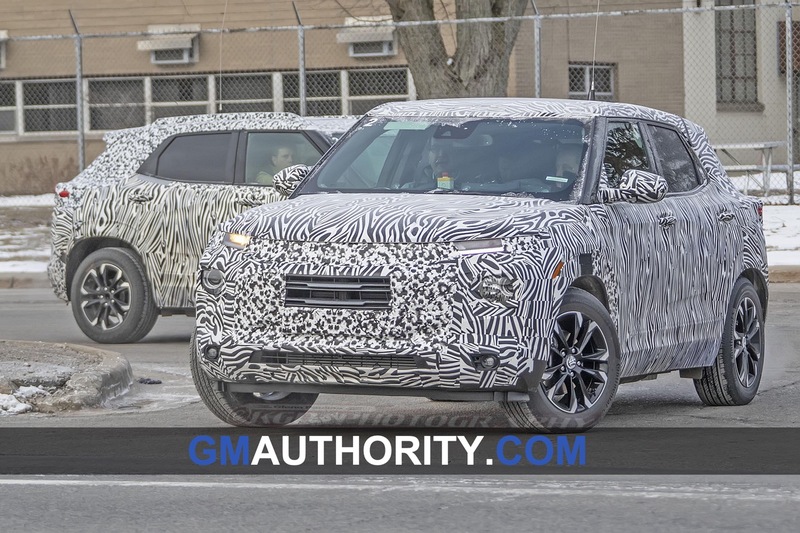 That’s because General Motors filed to trademark TrailBlazer with the U.S. trademark office in November 2015. 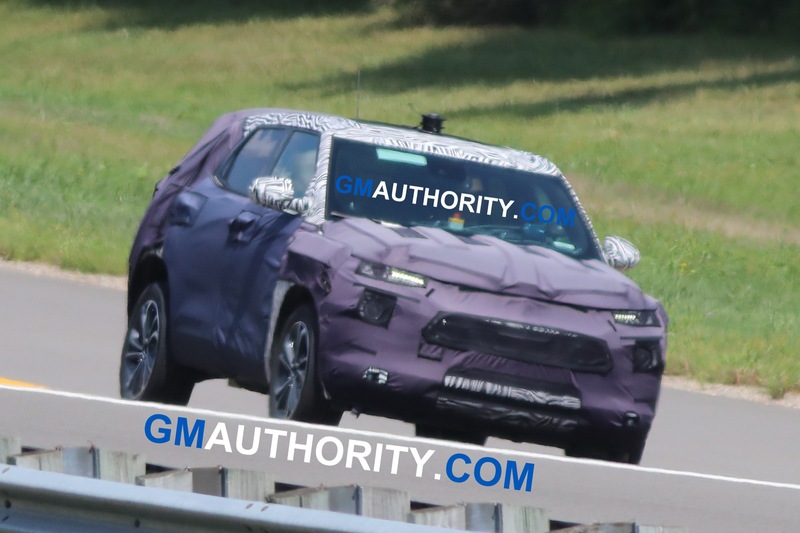 We should note that renaming the Chevrolet Trax to Trailblazer does create some conflicts in Chevy’s international utility portfolio. 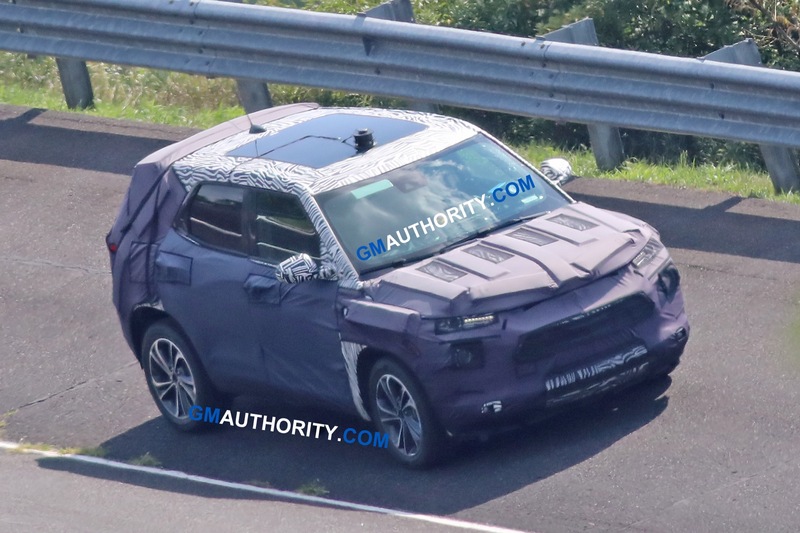 Currently, the Bow Tie brand markets the Chevrolet TrailBlazer as an SUV derivative of the international-market Chevrolet Colorado. 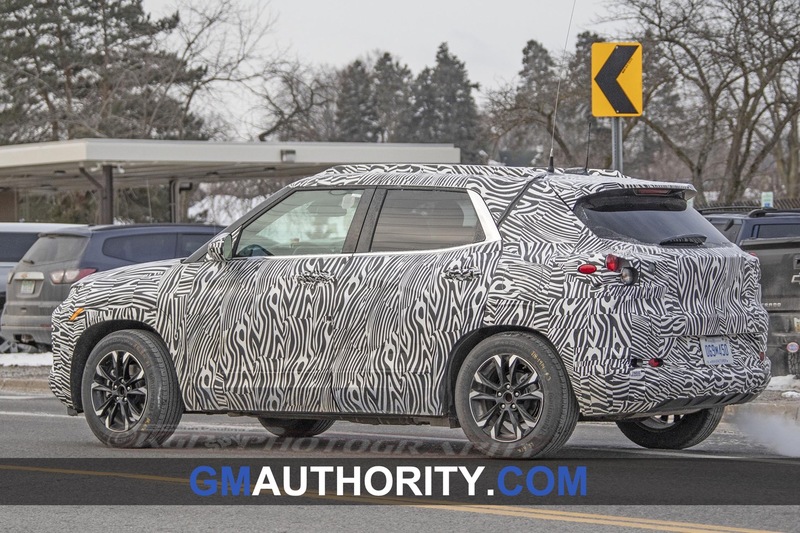 The vehicle is a midsize, body-on-frame SUV offered in Southeast Asia and in some South American markets. The possibility for confusion is obvious, but not without a solution. 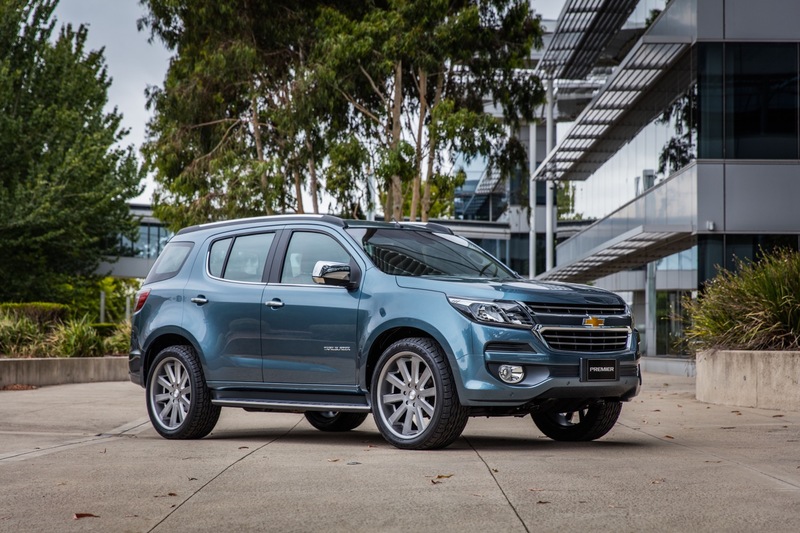 If GM does plan to call the second-generation Trax as the Chevrolet Trailblazer, then the body-on-frame TrailBlazer SUV can simply be renamed to Colorado 7 – the name previously used by GM’s Holden subsidiary for the same vehicle in Australia and New Zealand (the “7” denotes for its passenger capacity). 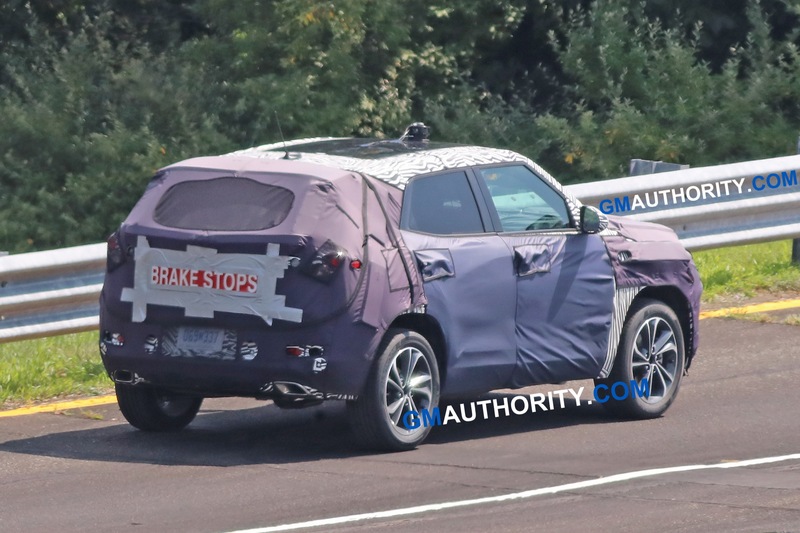 Another possibility is that GM simply discontinues the current body-on-frame TrailBlazer altogether, and replaces it with the new Blazer unibody crossover. 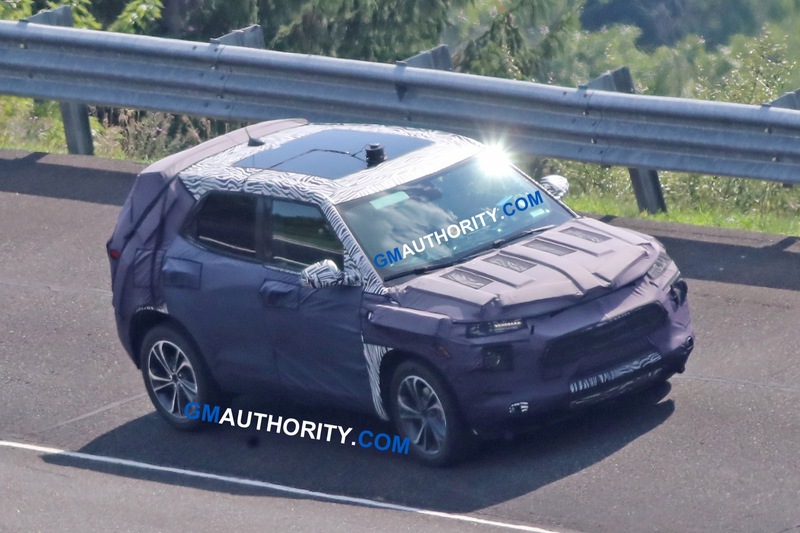 The last time Chevy used the TrailBlazer name in the United States was in 2008, for the GMT360-based midsize SUV that slotted below the full-size Tahoe and Suburban. The vehicle was produced from the 2002-2008 model years. 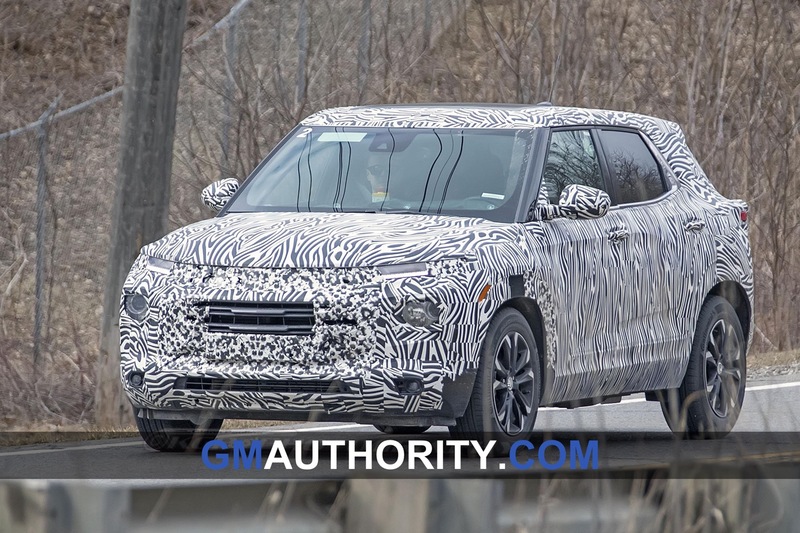 Prior to that, TrailBlazer was an upscale trim level of the S-10 Blazer that ran from 1999, 2000 and 2001 model years. 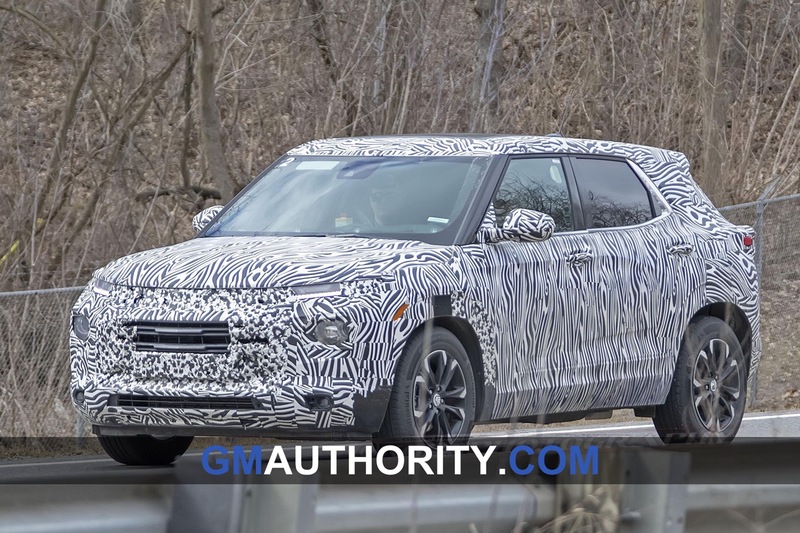 As for the all-new Chevrolet Trailblazer, expect that model to be revealed on and go on sale as a 2020 model year vehicle. 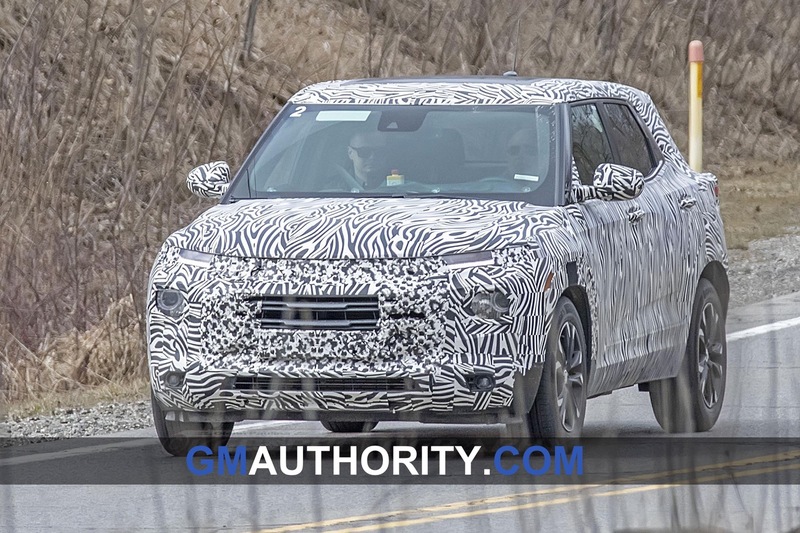 Subscribe to GM Authority for the latest Chevrolet Trax news, Chevrolet Trailblazer news, Chevy news, and around-the-clock GM news coverage. 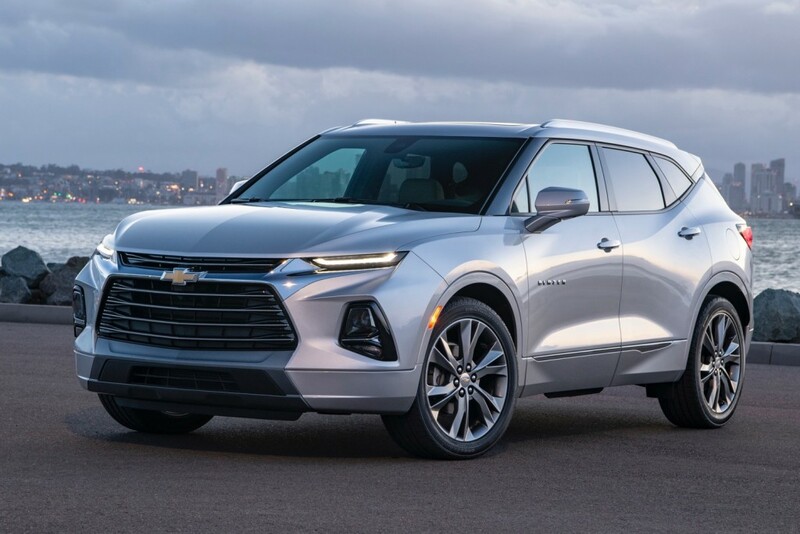 If GM utilizes the Trailblazer name in China its one thing (though also a dumb move, AFAIK the Trailblazer name was never used on a BOF or off-road-centric product). 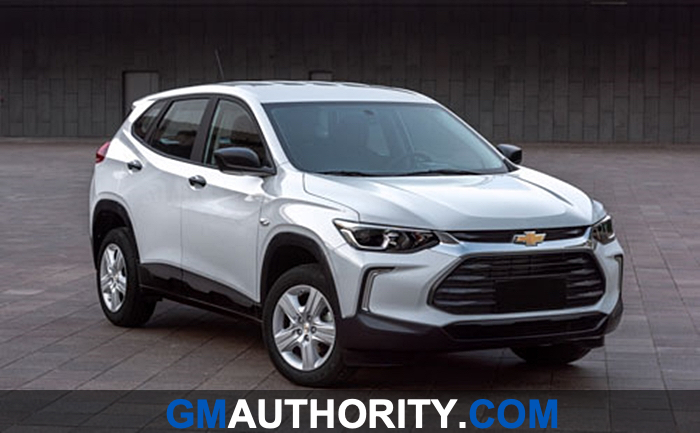 If the name is resurrected and repurposed as a Trax replacement in the States, however, it would only underscore that there’s a group of decision makers at GM that doesn’t have a clue what they’re doing. First, why replace the Trax moniker at all? Though it is an inelegant name, its serviceable and hasn’t harmed sales. 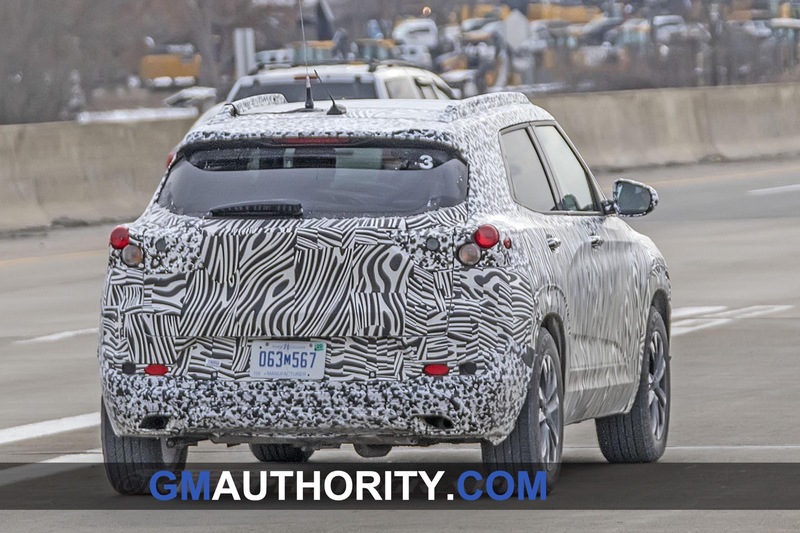 If GM were interested in rationalizing nameplates for this product across markets, they could just apply the Tracker moniker here and in other countries (which is a far better name than Trax anyway). Second, why is there this endless, insatiable need to repurpose old monikers? Yes, I understand that they are recognizable and may be familiar with some consumers. But when a name is reused for a different type of product in a different (sized) segment, what does that recognition buy you? Why potentially confuse customers or resurrect possible “poor perceptions” of the previous iteration of that nameplate? There are lots of names out there which can be secured or invented. Lots. Entire companies and marketing departments exist for this sole purpose. Why won’t they simply utilize such talent rather than constantly look to the past? I just don’t understand GM on this front. It’s incredibly frustrating and shortsighted. To me, the Trax name does have some good brand equity. 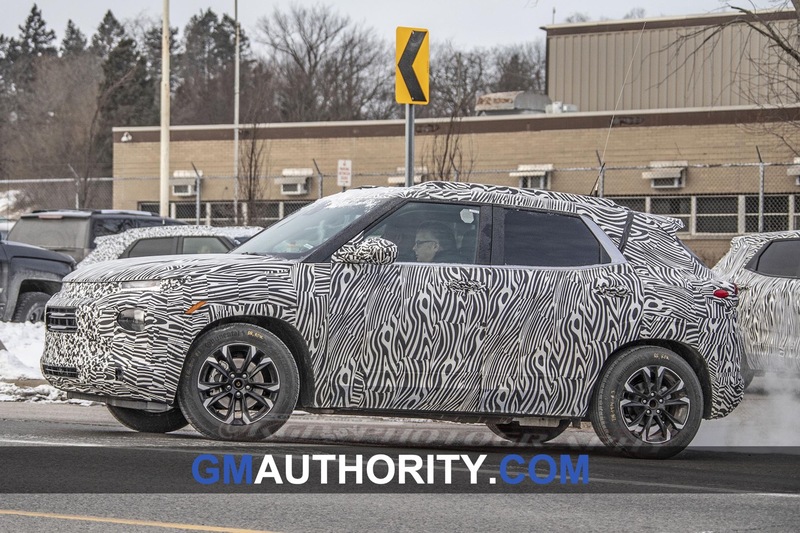 IMHO, I think that is where automakers like GM started loosing market share when they renamed vehicles everytime a replacement for another one came out. This caused a lot of confusion on the part of the customer, especially in the years that GM lost most of its market share. Look at the Honda Civic. Same name since it was introduced in the 1970s. Since then, Chevy’s competitive entry went from Vega to Monza to Cavalier to Cobalt to Cruze. Chevy’s competitive entry since the Accord came to market went from Nova to Citation to Corsica/Beretta to Malibu. Trax is a top three sales leader and therefore not a name to kill off. Malibu, now that would have been logical given the poor sales and week brand equity, but not Trax. Trailblazer will be remembered by old folks and millennials as a childhood memory. Not good. I must say Nova would be a great CUV name as would Beretta. 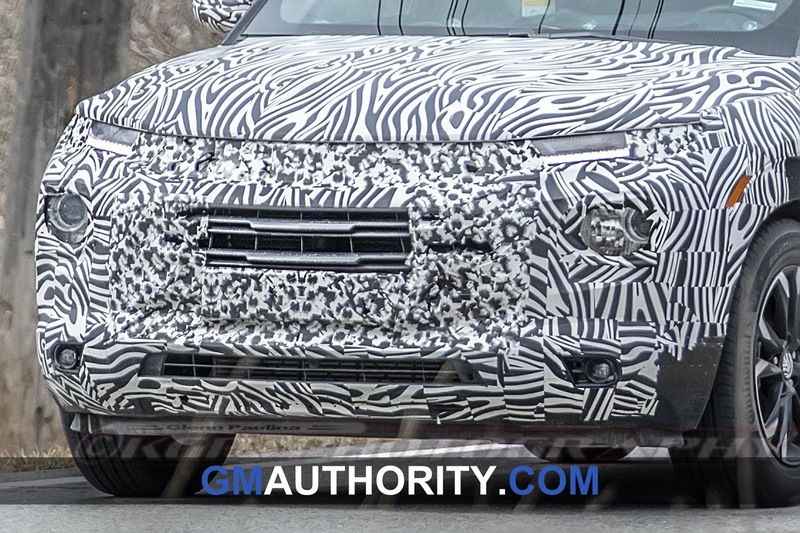 C8 Corvette will be renamed to TrailStingray SS. I would agree with you on almost everything. However, where I would be different is in asking why they drop the good names to begin with? I feel the problem goes further back in time: They need to stop dropping those good names that have (had) recognition, just to bring out another, just to drop that name and go back to an older one. This is where they (mostly GM) lose people as the customers can’t keep track of what’s what. Even if a certain name was on a bad product and thus tarnished that name, it’s only temporary. Humans have a very short attention span and the average consumer can’t recall the good, the bad, the indifferent. Maybe those of us posting on sites such as this may be able to remember those things as we are mostly enthusiasts. But we are not the majority buying these cars. GM: If you are listening, please STOP the constant name changing. STOP using stupid letters/numbers on Cadillac’s. Become consistent in your product and the people will buy them! I agree with the superfluous nature of constant name changes, even when there is a lemon associated with one generation of the name; with one non GM exception. The Trax name was always poor IMO. 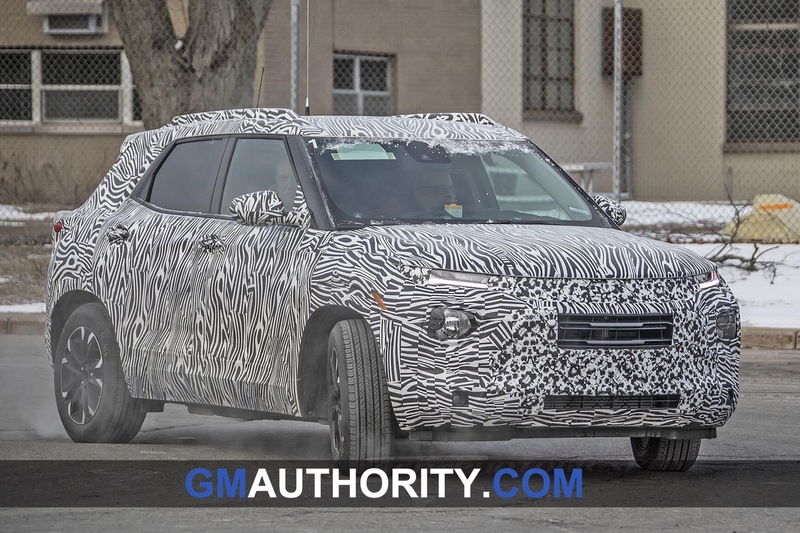 The Trax is being replaced with the Baojun 530 in SE Asia (called Captiva in Thailand/Vietnam), the new Trax may not be offered as it is too similar in size to the Equinox and [Colorado based] Trailblazer. keep my trac and when ready to buy will leave GM. You have to wonder about who makes this type of bad decision. This makes it easy for me to leave. The thing that makes me wonder is how someone who claims to own 2 of these vehicles doesn’t know how to spell it. 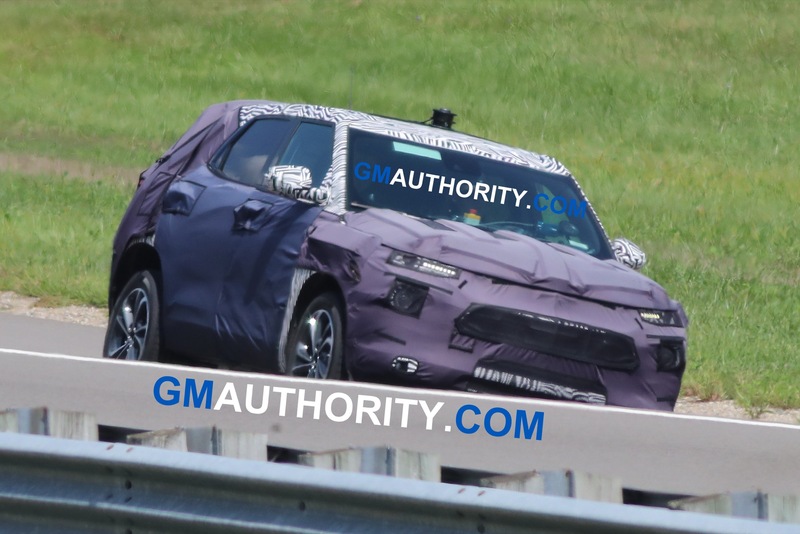 Can we now say that the photo that has a number of vehicles under the sheets in a semi-circle around a Chevy Bolt include the Trailblazer, the Buick Enspire, and so forth? If so, can we pick them out and identify which is which, and then speculate on what is still to come? Thank you. Honestly, Trailblazer is what they should’ve called the new Blazer. Because the Trailblazer was a mall crawler just like the new Blazer. Blazer name should’ve been saved for a lighter 2 door Tahoe. I beg to differ. The original Trailblazer was a good old classic body on frame…..unlike the mall crawler your comparing it to. A real Trailblazer is much more like it’s cousins, the then/current Colorado/Canyon twins. I wouldn’t call them a mall crawler either. 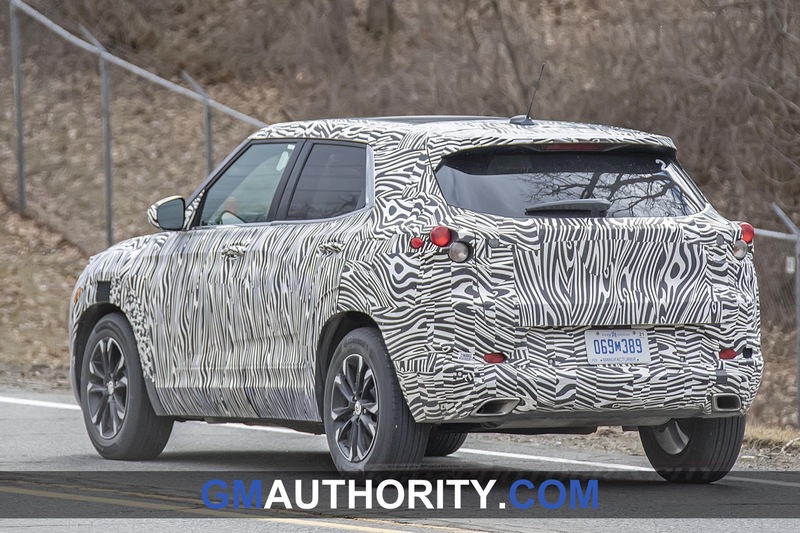 Damn shame GM turns it’s back on those of us who prefer a true SUV with solid underpinnings without dropping the cash on a Tahoe. I think you and I have differing definitions of “mall crawler”. Weird to go back to a previous name when the current one is fine. I could see them using it as a package name for an “enhanced” edition as opposed to changing the whole vehicle. 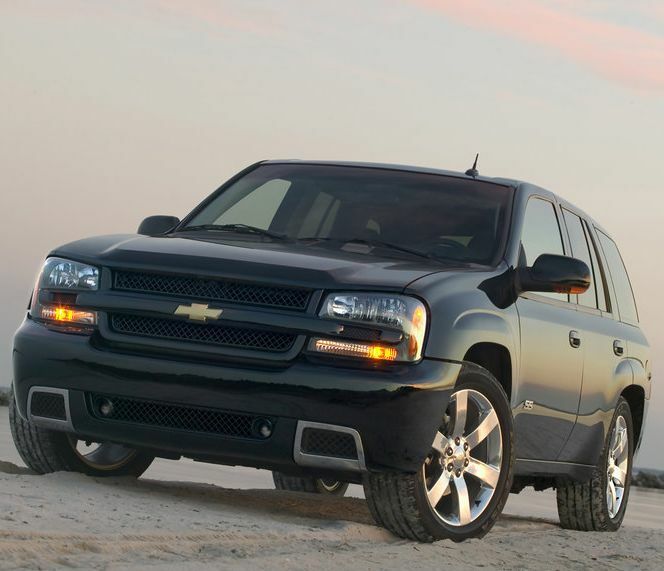 – the Trailblazer name started as a trim package name on 1999 through 2001 Blazers. – it became a full fledged model for the 2002 model year and was sold up until 2009 (I have an ’09 sitting on my driveway as I type this – we also own a 2013 Trax that has been a serviceable, if not sometimes leaky mini SUV). Probably not going to happen. 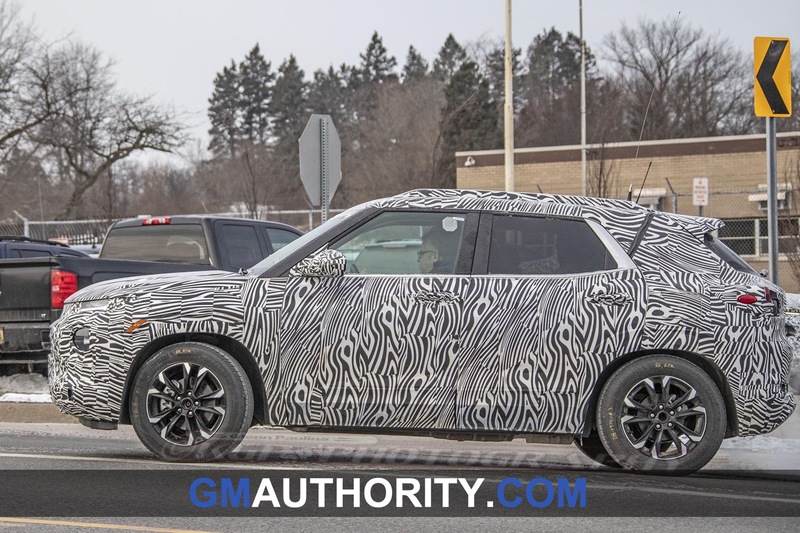 Why would they have the Trailblazer and the Blazer as different vehicles in the North American Market. Because it would appear that the goal is to create a family around the Blazer… hence Trailblazer. 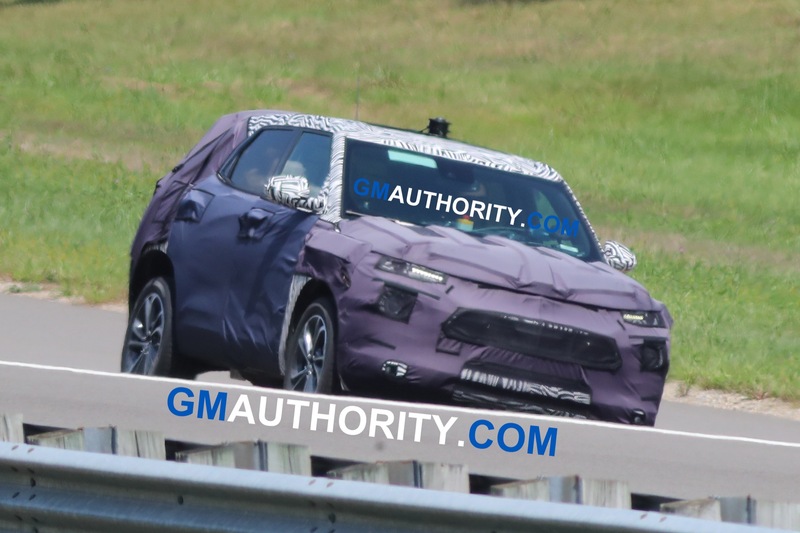 So I wonder what they’d call the inevitable even smaller CUV to join the family. PathBlazer, SidewalkBlazer, DrivewayBlazer? The name really does not matter here. It just needs to be a solid vehicle in class and be priced effectively. Make look good, make it affordable, make it safe, make it reliable and make it a joy to drive and you could call it the Turd and people will buy it. 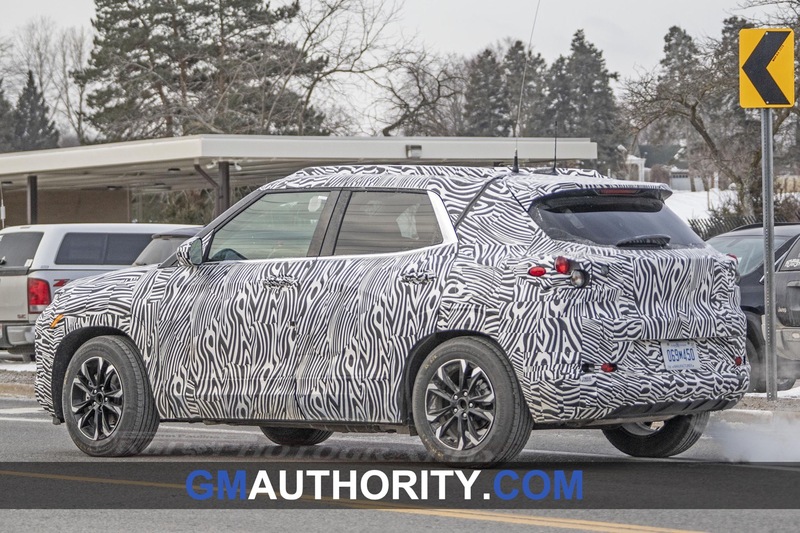 Let’s face it Nissan made money on a frog looking CUV. called the Juke. If you are buying a vehicle just for the name you really need to go back and reassess your values. Bring on that Trailblazer based on the Colorado. I agree because I own a trailblazer and love it,gm needs something to compete with the toyota 4runner. Unbelievable.. I don’t care how much stock they are trying to increase they are giving their core fans the shaft. Jeep has a real SUV, the Toyota 4Runner may not be as good as the Wrangler but it is still has a nice SUV. 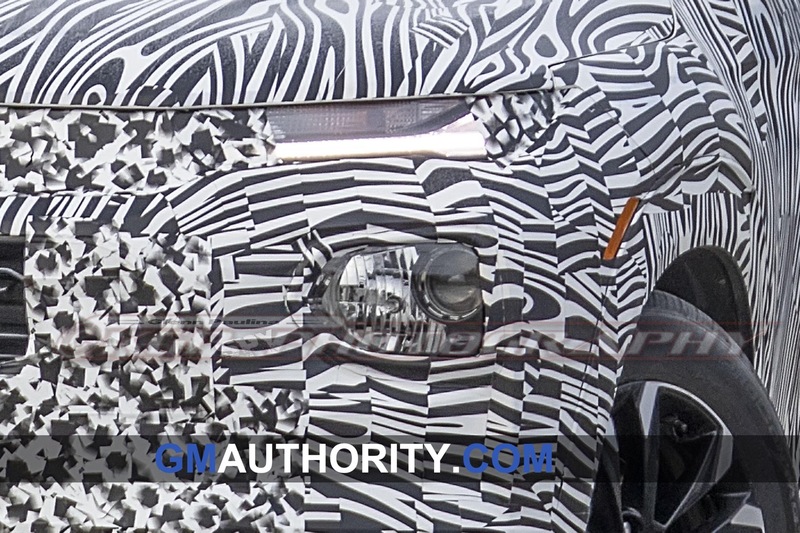 Ford is coming out with the Bronco and GM answers with this? A car based FWD Crossover? I don’t want to hear as the sales won’t be that great blah blah blah. Their image is leaving, this stock market increase is only temporary. They can lose sales everywhere and still gain shares. Oh wait that’s what’s happening now. I am just getting a bad taste in my mouth and I hate it because I am a pro GM guy. But now it’s just losing their appeal IMO. 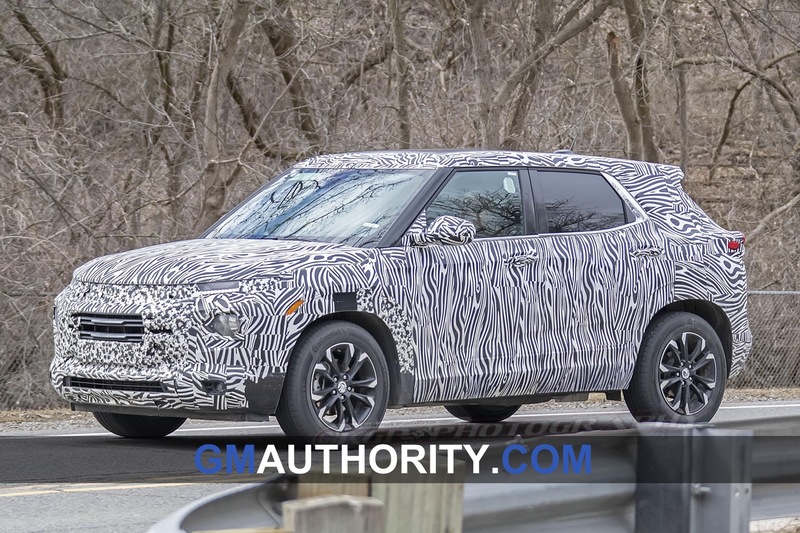 The new trailblazer should be like a Toyota 4runner and it definitely shouldn’t be a small SUV. I own a 2002 trailblazer, it has 171k and is getting old. I would love to have another one because it’s a great peppy truck. I would not buy one if it was a small SUV. 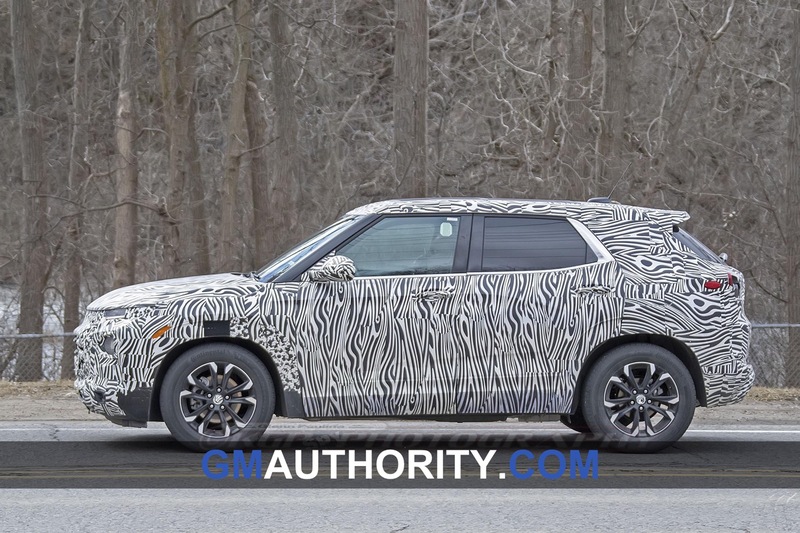 Chevy needs the trailblazer again because they need a competitor for the Toyota 4runner and jeep grand Cherokee. 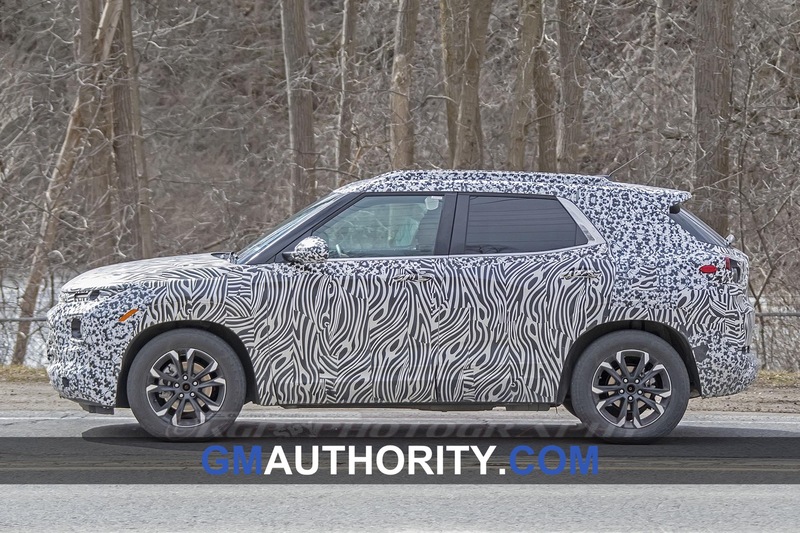 The jeep grand cherokee is a unibody suv, it’s not in the same class as the 4runner or wrangler. They should definitely make the Colorado based trailblazer. I cannot give this enough upvotes. Shakespeare wrote.. a rose by any other name is still a rose and the same can be said about the Chevrolet Trax or Trailblazer as what people think about the Trax will remain even with a new name unless they do something like giving the new Trailblazer an engine option fitting of the car’s name which will allow drivers to have a little fun with their new CUV. 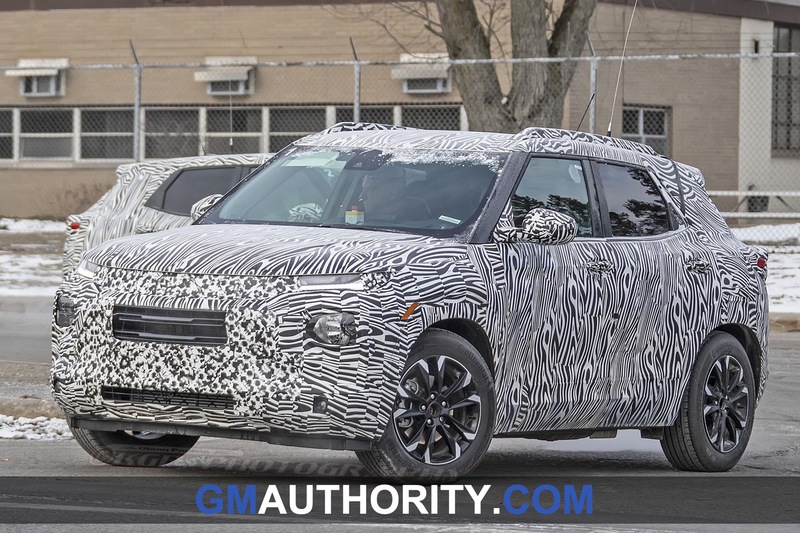 I’ve always liked the name Blazer and TrailBlazer even the name Cavalier ,it’s great that GM is reusing these names from the past like the Malibu and the cancelled Impala. Once again some great comments on this website. The vehicles portrayed all look appealing and fill a definite niche. 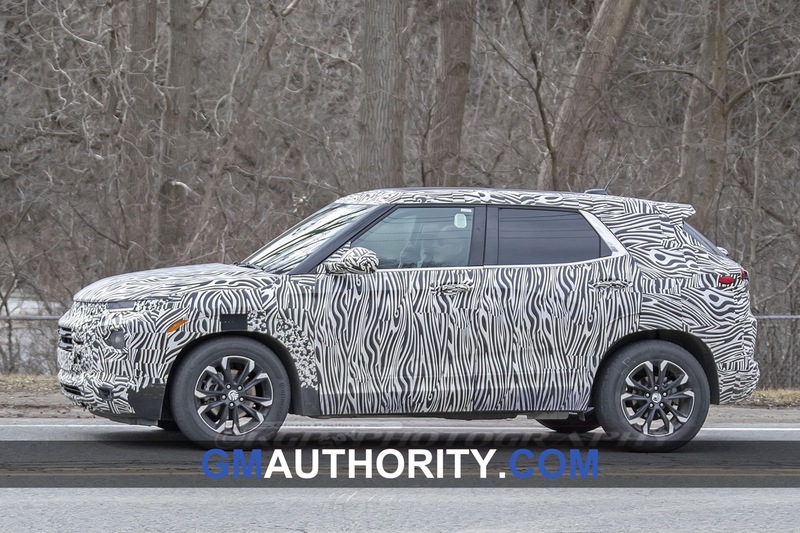 The proposed names might be somewhat skewered and GM still fails to compete with Jeep, Toyota, and Ford in the rugged off road, full-mid sized market. 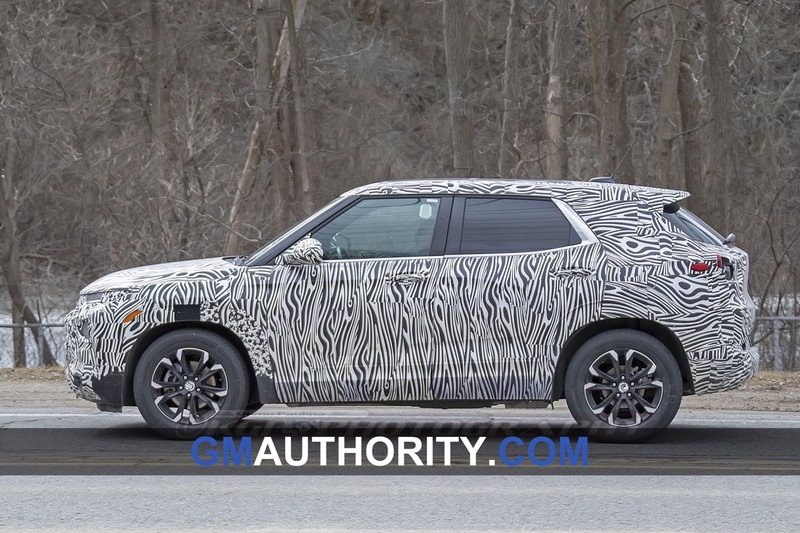 GM should produce a full sized Traverse/Enclave edition of the 2020 GMC Acadia AT-4 and a V6 4wd Chevrolet Trailblazer. That would generate increased sales and revenue and arrest falling market share. As someone who has a 2018 Trac AWD LT, and hates it because of all the lies the salesman roped me through. I wish that this new one will be bigger, leg room head room side room, passenger arm rest so I don’t have to share an ARMREST?!! more cargo space. The ability to have some towing capacity. The ability to add on fog lights or sunroof with out voiding the warranty even tho the salesman said it wouldn’t if I got it done at a Chevy Dealer and when you go to said dealer serviceman they tell you this model doesn’t come with accessories!!! I really wanted a Chevy but unscrupulous dealers made me hate the whole experience. From now on I’ll just do one of by on line deliver to my house deals. At least the have a return policy. Your biggest complaints about size, headroom, leg room, and armrest should have been discovered after a two minute test drive. Did you even bother to test drive it prior to purchase? Their new naming scheme is a bit of a joke but I do await the new whatever it is. My bro has a Trax which I have driven and I found it to be a nimble little squirt but slightly anemic. I came away liking it as well. If its not RWD, i dont want it. RWD with toggle 4wd. Front wheel drive is crap. As a Michigan driver, in the rare event i get into a slide, id rather have control instead of sliding in a straight line with a semi sideways pitch, which is what FWD trash gets you. I am lucky owner of a 2018 Chevrolet Trailblazer! The name already exists for Chevrolet Arabia and some SE markets! I bought this truck based model intentionally BECAUSE it is body on frame with live rear axle (and rear hear driven LSD), coil springs all around and a proper part time 4×4 transfercase. Watering the Trailblazer down with a Trax sucessor is in my eyes the completely wrong move! 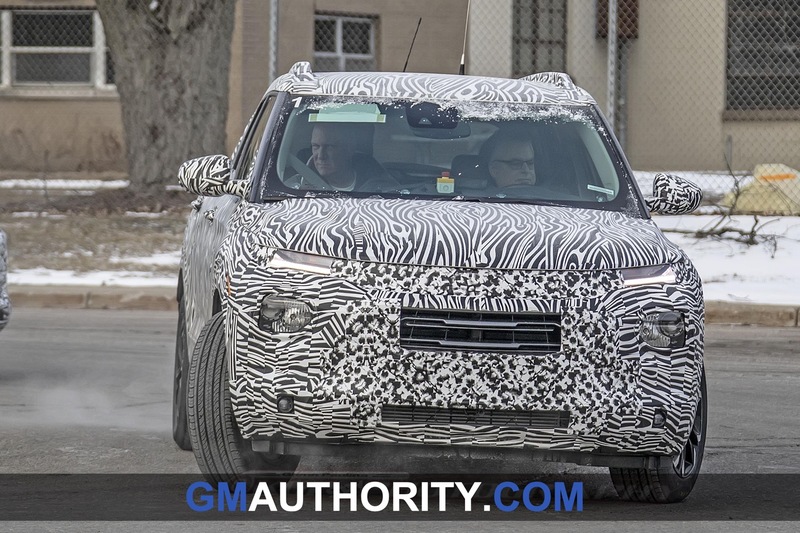 Call the “new Trax” Captiva and all is good.